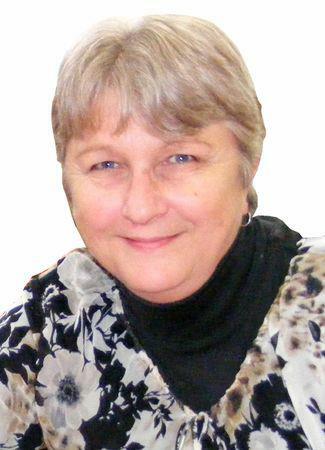 Gail Lynch, a Queensland woman missing from her Warwick home since July 3rd 2012. 53 year old Grandmother Gail Lynch had recently ended a relationship with Ian Hannaford, a 58 year old man she had met on Oasis.com, a popular online dating site. Since her disappearance, Police had originally interviewed Hannaford – seizing his car and searching his unit – before later releasing him from custody without charge. Hannaford himself then disappeared before being located living homeless and has since been charged with the murder of Gail Lynch. Despite the murder charge, Gail Lynch is still missing. She is, and will still be considered a missing person until she is located. Anyone with information about this case should contact Crime Stoppers on 1800 333 000 or Warwick CIB (07) 4660 4430. If you would like to help spread the word or show your support, please join the Facebook page created by Gail Lynch’s friends and family at https://www.facebook.com/MissingPersonGailLynch. was charged with her murder. Can you please help we need her home. This reading is a family request it is therefore a priority reading. I have not printed the family member's name or their family status in order to protect their privacy. It seems that Gail has not been located but that she is deceased. Firstly I want to say how sorry I am for all her family and friends. Tarot cannot be considered 100 per cent accurate by Law and it is wise to read all the notes as to how Tarot 'works' on this blogger. Reading factual evidence and sources is always recommended but Tarot will try to see if it can provide any clues past present or future. This means that any kind of information can come up and all I can do is write it down and hope something is useful from it. Obviously some past events are going to be picked up by the Tarot and I see here this card being the 'lover' but emotions are not returned in this card with it being reversed. There seems to be some kind of 'invitation' here and a strong water element which may either form part of a vicinity or landscape or it may describe emotions not being reciprocal. This card is generally West at first glance but we should take some factors into consideration. Firstly we are in a situation emotionally where we cant live with someone nor live without them that can apply to either Gail or the man she was involved with. The situation to me is 'suicidal' from the point of view that emotions are out of hand and a 'lover' can become manipulative and cunning and are not going to turn out to be very nice towards 'you'. There is sometimes a third party mentioned in this card but often it is saying that one should tell another person where they are going or check with that third party that any invitation they receive is actual and not 'made up' so manipulation high on the list. With the Queen reversed 'next door' it might show a female who was not 'sensitive' enough to the 'lovers' feelings and offers no 'sympathy' to him so if there has been a relationship and they both fell out then clearly possibly Gail was adamant about how she felt. That would not have been received well because it could show a male who then has emotions that could turn extremely negative and violent. There may be 'drinking or heavy drinking' attached but even drug use could show its side here. The feeling of being crafty comes up so Gail might have been lured into a situation. Sometimes we do have to take into account landscape here but there will be various references all of which might/might not be relevant. However I will set down what I can. First the Knight can show boats/lakes and Water. That could be the name of places rather than actual and the number here is 12 which would be 1 and 2 or could represent 21 or Three. Four / Emperor would show a very abusive dominating partner who needs to stay in command of a situation at whatever the cost. Its also possibly a car or vehicle. There are 'church/spiritual' elements which could represent church names but indeed it could also be describing - spiritual and I am informed that Gail is demised. In the vicinity of this first card may be an M or W, a white bridge and a river or some kind of water element but I have already discussed that possibility. Unfortunately the male that Gail was connected to on that day was someone to be avoided it seems. North West seems to be strongest direction in this card and water connected to this card can bring any of the following up - fishponds, rivers, springs, watermills, water pumps, wells, marshy or watery ground, moats, springs, the ocean, and this could include all places near to water inside or around the house. We also get 'holy places' from this card which is why I mentioned church but it could be ones state of well being . However I am going to mention places of retreat, monastries, and connections to churches just in case. Looking to more information about location we must bear in mind that all three cards may offer assistance but in different time scales. Therefore please read all three cards to see if anything might be useful. The very first thing I would think of when getting this card is religious/spiritual elements but it is also a good card for a 'church' and even 'schools, clubs or some kind of organisation - teaching? . But, the number on this card is 5 so maybe a route 5 might be of use? Here we have a 'K' name - were there two men in Gail's life? Need to ask that question because I was wondering about that - along with the K name which could be an initial of a place or for some other reason I need to mention KEY or Quay or even a 'set of keys'. I seem to see two people here who could give some good advice about Gail?? Try the Emperor ' says Gail' and that is the number four that we have in the first card, this someone would be linked to us as described and they may have a car. The lovers card is sitting nearby and we have a 'garden' and twin peaks or Hills perhaps and a 'fork in the road' it is a family card too so Im not sure if it is suggesting not far from family? or partner? I might be wrong. Something White may be showing and bones/dental matters to arise perhaps. It seems that one went 'out of town' by vehicle or some form of vehicle and it seems that there is a lot of landscape with a river running through that. Perhaps 'roses' come up here? This card is also talking about a 'marriage' so I have to just leave that. Someone being described as having a strong and well-set stature, possibly in height a shortness. Broad forehead, large head eyes, mouth and lips might be prominent. Dark hair or complexion perhaps black, rugged hair and gross hands. A connection to South East and perhaps descriptions again of names or places or even the vicinity which would sound like or be near - stables /horses/cattle . Farm land or pasture land away from other buildings/houses and single storey places such as low houses bungalows, cottages could even include sheds or outhouses perhaps, or in houses, low rooms or cellars but somewhere low down near to the floor. I may be hearing 'music' or there may be music somehow connected. Perhaps 'lodgings' might come up? Problems with the throat neck and shoulders may be here. Fountains may come up and dancing schools? There is a lot of jealousy - as I see 'drink' or 'drinking' even public houses might also show up somewhere or someone with a drink problem. All descriptions could include or connect to other persons. Slightly difficult when asking when Gail will be found. The idea Im getting is that information/resources already known should be taken to the maximum as perhaps that is where the answer lies. One must push to discover. There does seem to be water not far from this card and possibly a hotel. Again I could be wrong but a bridge or white bridge? I had something about marriage or wedding but I cant quite put my finger on that. There is a number 4 on this card too so a 4 must be very important please remember to read all the information about that. One has to capitalise on all the initial success of this situation because that is what I am being told to say. There may be sporting elements such as gym, swimming, sports or football fields in the vicinity. There may be a place near to where someone works that is connected even. The general direction of this card is SOUTH. There are some unreliable factors in finding Gail it seems due to shaky relationships. There is something about a court/legal/trial matter here and many disagreements/arguments and it may take time to sort everything out as there is a delay in the matter of finding her. Obstacles must be overcome. This card can represent somewhere agricultural 'country life' and even a manorial type of building. Flowers can come up and gardens. Four posts like a bridge? This may just be trying to describe names or indeed places in the vicinity or places searched or to be searched. Red comes up with this Wands card and sometimes someone with a complexion thats 'red' meaning skin tone or hair or the complexion is well tanned. A Lean body, long neck, large bones, not overly tall but strong limbs. Perhaps someone suffers from baldness or thinning of the hair. East is strong whether in name or direction. Scars and/or burns - fires? Also descriptions of sandy and hilly ground, newly built land or where construction work is taking place. Land where sheep and small cattle might roam or stables for small animals. Deserted places where criminals find refuge. (Desert?) In houses - might point to the ceiling, plastering or covering of the house. Brick foundrys, links to fire and heat, maybe chimneys? Walls, palisades and fences could come up and perhaps even an 'airport' somewhere in the distance and a HILL or word HILL. Please be careful how you read this Tarot and make sure you read about Maps and the About Tarot section so that you can understand how Tarot can describe things as Tarot cannot name locations by their actual Names all it can do is give information that sounds like or it feels might be helpful. As for a time when Gail can be found that still looks uncertain even though the wands are normally weeks, I could say four weeks but it might just be the 4 that is the most useful element .It is also worth reading other cases that have been concluded to see how Tarot has picked some things out. Tarot is past present and future and this must be borne in mind. Nothing can be guaranteed as factual information but maybe something might be pointed out. If I can think of anything else I will write it here. Meanwhile I hope there is something here that could be of assistance in some way. Just thought I would mention that the four wands can also be a foundation card, it is quite possible that one should consider the underneath of buildings and a cellar has been mentioned earlier in the Tarot. Im not sure how that would apply right now but will try to think it all through. Dee is 'not sure' in respect of the Map for Gail and mentions Chapel Hill as a possibility. I also want to mention Roseberry, Murray Bridges, Sanctuary Cove , Hermitage, Morgan Park Racing Complex, Horseshoe Creek and names with EDEN attached. These may just be places in the VICINITY and the maps are currently an experiment until we see a good percentage of results from them but hope they help.